It's a sunny afternoon and I wanted to have merienda. It's that "snack time" excuse we Filipinos have so could get something in between lunch and dinner. It makes sense, but it's really daunting to sometimes cook when you've got no facilities in the office, or a big budget to work with. 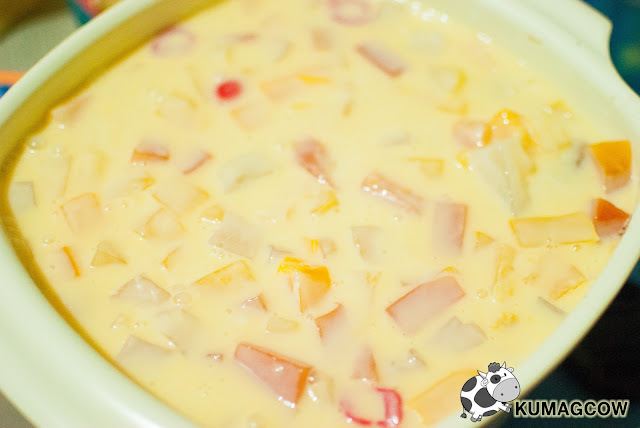 I wanted to have Crema de Fruta since I've been craving for it for several weeks now. You can but it off the shelf but it's a tad pricey. Aside from that, I always thought I could make my own version of it without even cooking on a stove (which is a Man's nightmare by the way when in the kitchen). I needed to prove that I can do it so I did the next best thing, I cooked it today. This is what I'll call Easy Fruita Cake. 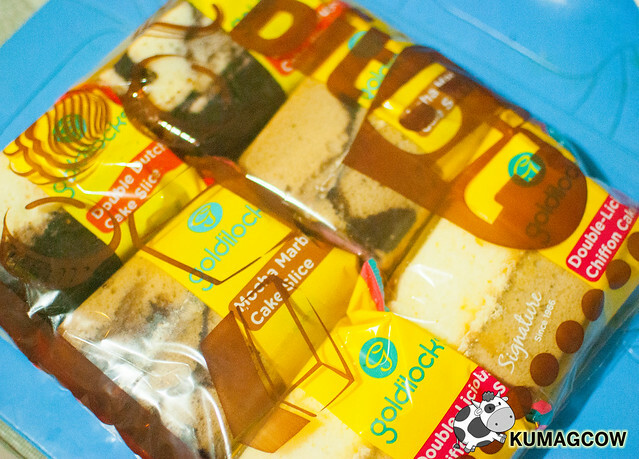 I bought an entire Bitbit Pack from Goldilocks for this occasion because even if I don't use the entire thing, I could always make these convenient slices my baon when I'm out covering events! 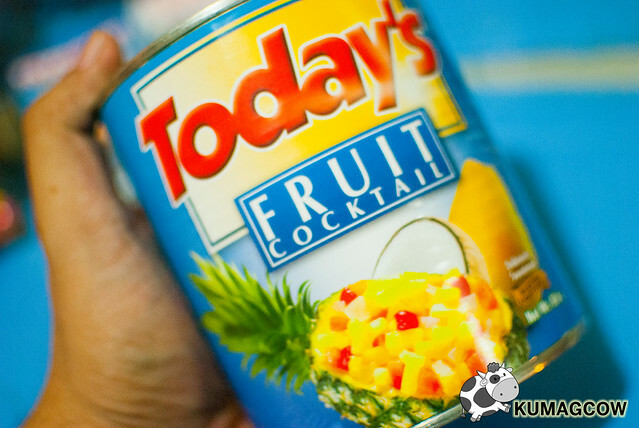 A medium sized can of Fruit Cocktail would do, don't get the super big one because this is merienda not a Fiesta LOL! Or if you're into healthy stuff, you can always cut up your favorite fruits in season. You can probably tell I like things sweet. If you're not a measuring genius, just a bricks of each would do. 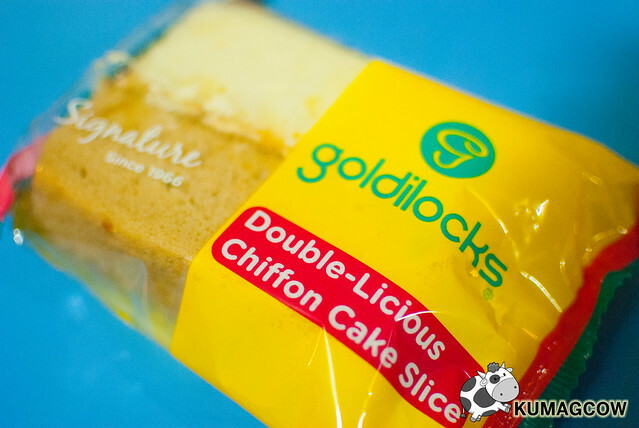 This is the Double Licious Chiffon Cake Slice by Goldilocks. If you guys a more toned down cake, you can order several of these. If you're like me who have several people at home that have different flavor preferences, you can mix it up like what I'm doing in this recipe. 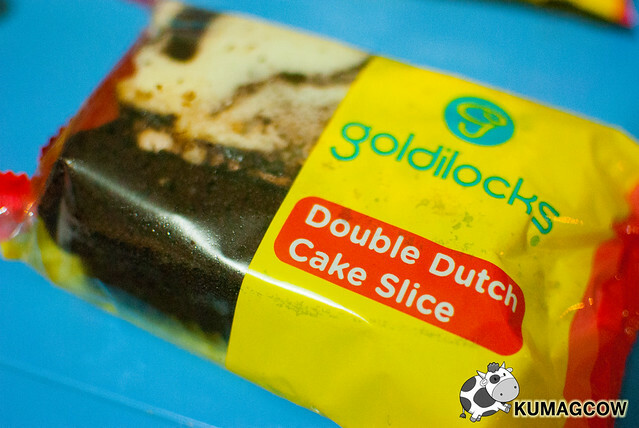 The Double Dutch Cake Slice is my personal favorite among the different flavors that Goldilocks has. 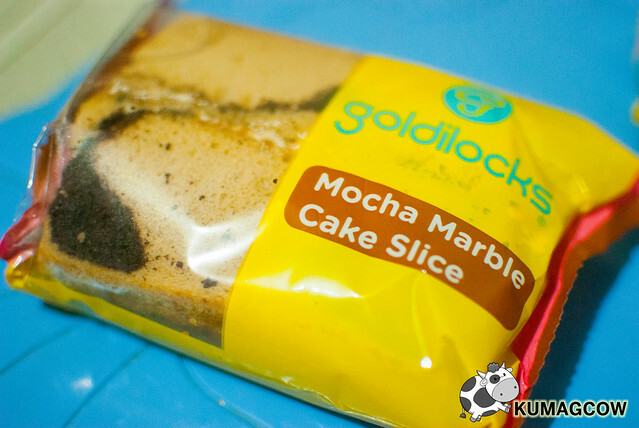 For the people who love a hint of coffee, the Mocha Marble Cake Slice is the better choice. I wanted people to be surprised when they dig in on this Easy Fruita Cake so I used the three flavors in one recipe. 1. 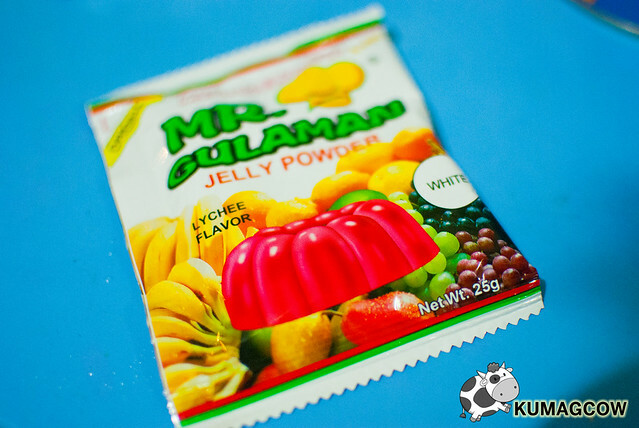 In a bowl, put in 6 cups of water and pour in the unflavored gelatin powder mix. Mix it thoroughly. Put your microwave on a high setting and wait for the thing to boil. That usually takes like 3-5 minutes. 2. In a container, put in your cake slices so it would fit the bottom. This will serve as your cake base. 3. 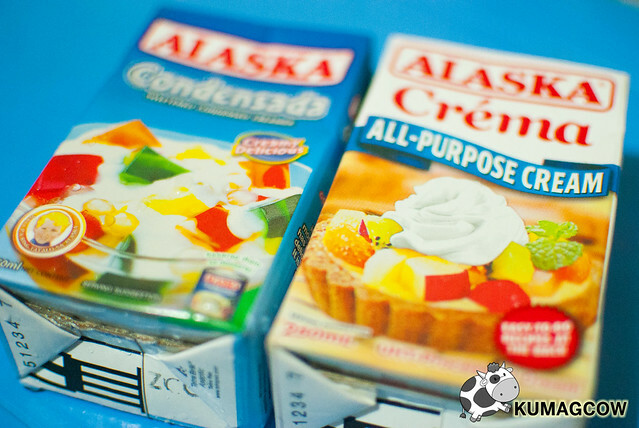 After taking out the hot gelatin from the microwave oven, pour in 3/4 of it on the container where you put in the cake. While it's soaking, put it in the freezer for a 5 minutes so it forms your base. 4. On a separate bowl, mix in your all purpose cream, the condensed milk and the gelatin. Remember to mix it thoroughly. Put in some of the fruits in it too. 5. 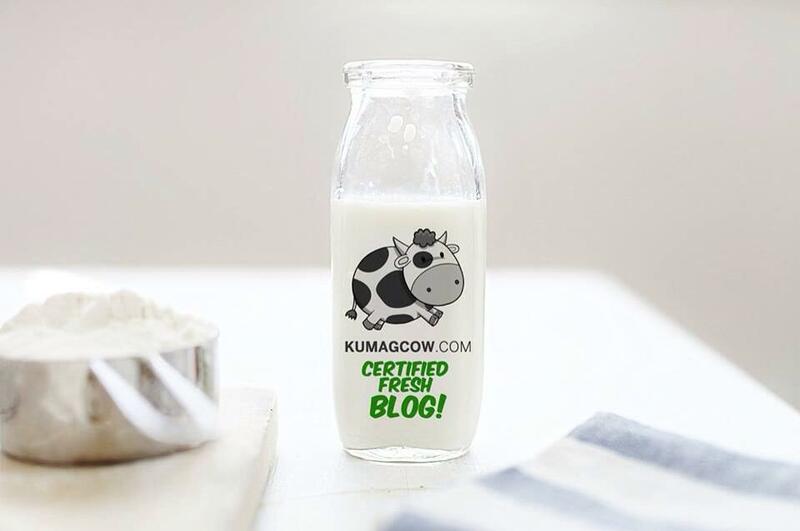 Take out your cake base from the freezer then pour the cream and milk mixture over it. 6. Put it again inside the freezer for an hour or two. Scoop or slice it out on serving bowls or plates and make sure you get part of the cake and the top when serving. The contrast between the cake, the fruits and chocolate is awesome! Enjoy! Here's a video on how I made it! This is affordable, very easy to make and would be perfect for your afternoon snack. It's still hot outside right? Having something sweet, frozen and fruity is just the next best thing. It's also easy because I just bought cakes from Goldilocks. 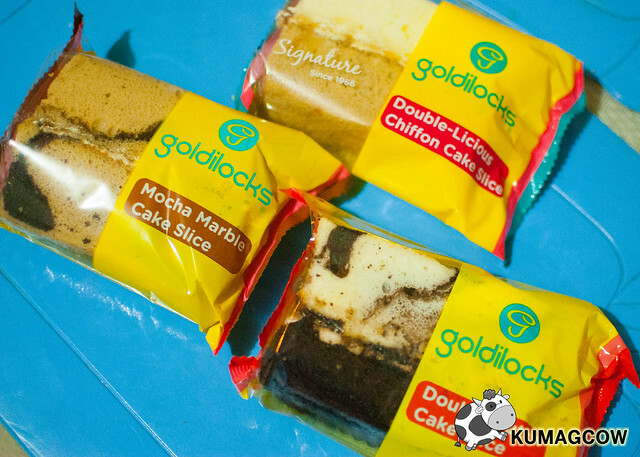 You should start dreaming about your next meal and ask yourself why you're not getting Goldilocks Cake Slices today. It doesn't take a genius! Disclaimer: This was supposed to be a sponsored post by Goldilocks through Nuffnang Philippines. They asked me to draft, made all these, and said it was just a proposal. 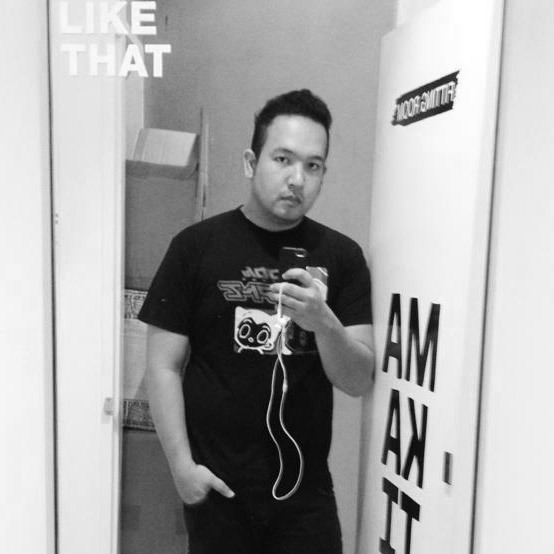 So this isn't sponsored at all because Nuffnang is such a great company. Insert my sarcasm here. How To Make It Big in "Just Roll It"
Win a Tenya Team Party for Ten! McDonald’s Shake Shake Fries Is Back! GMA Shows Now Available on iFLIX! Great Talent Exudes in GMA7's To the Top! Fun, Relaxing Coron Activities All in One Day! Happy Wife, Happy Life Starts Season 3! WeChat Secrets You Might Not Have Known! Let The Love Begin Cast Says Thank You!